I love fashion but I don’t want to wear clothes that come at a cost to people or our planet. I first heard of the organisation Fashion Revolution a number of years ago on the anniversary of the RanaPlaza complex collaspse in Bangladesh killing 1, 134 in 2013. Fashion Revolution is a global movement calling for greater transparency, sustainability and ethics in the fashion industry. It raises global awareness of the true cost of fashion to all with the question, Who Made My Clothes? Each year around the 25th April, Fashion Revolution Week is recognized with various events around the globe and challenges us to seek out the ethical practices of the brands we wear by taking selfies of our clothes worn inside out. 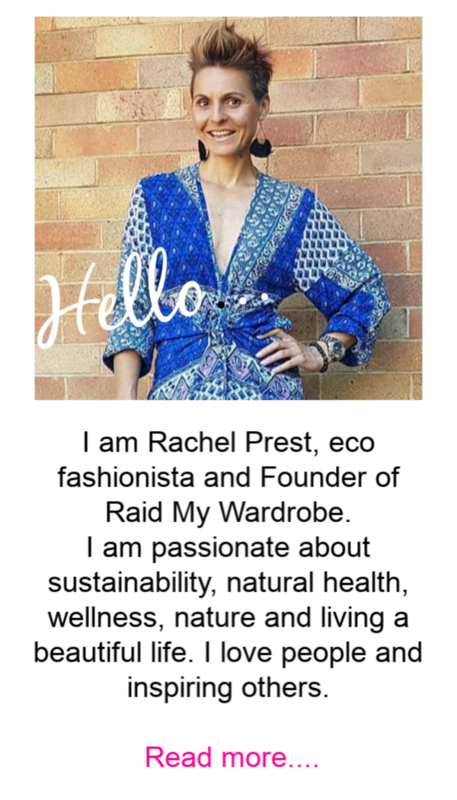 Eco Chic Fashion Pop-Up presented by Raid My Wardrobe forms part of these annual events. I made it my mission to seek out local designers and brands that were using sustainable and ethical principles in the production of their fashion lines. To bring the best of them together in a boutique shopping event set in the heart of Newcastle in one of the coolest venues in town – and so Eco Chic Fashion Pop-Up was born. For more information about Fashion Revolution go to www.fashionrevolution.org or check out our Eco Chic Fashion Pop-Up here.